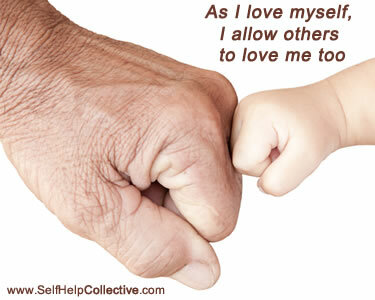 "As I love myself, I allow others to love me too." This is an example of a positive thinking affirmation. And you'll find more affirmations, below, together with a guide on how to create your own. Because, quite simply, your thoughts create your world! And, via the use of affirmations and 'thoughts that feel good', your world can be a place where your own greatness is encouraged rather than ignored. That's what I say, anyway - love to hear your thoughts, too! Well, I'm going to admit right now to not having great experience with positive affirmations. I understand the purpose of affirmations - a power of positive thinking, as it were - and I also appreciate that there's a right way and a wrong way to do them! But that's about it, really. So I am certainly no expert practitioner, but I do believe that positive affirmations work. I do have some general positive affirmations for you, though, if you already know how to do affirmations and just want to find an affirmation that's right for you, today. Share this positive affirmations page - thanks!